Hello, reader! I’m swatching one of my recent acquisitions for you today. This peach creme was in my VIP bag at Indie Shop Atlanta, and it’s the first thing from the show that I’ve swatched. 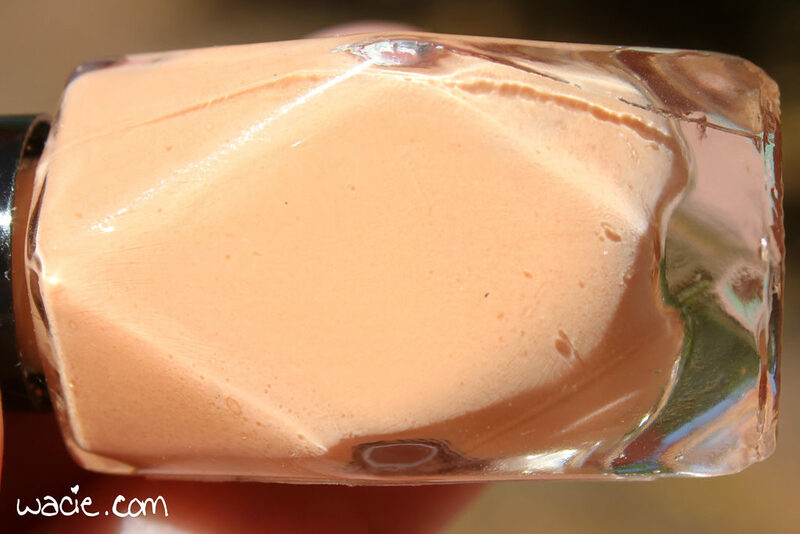 This is Sherbet vs. Shebert, It’s All the Same to Me from Alter Ego Body Care. I’m wearing three coats with one coat of Seche Vite. Sherbet vs. Shebert, It’s All the Same to Me is a peachy orange creme. Application was great; the product consistency is very easy to work with. Colors like these tend to be a little streaky, and though that was definitely true for the first coat, the second coat built it up to a good opacity. The polish dries with a glossy finish; I used extra top coat for shine and protection. I love this shade. It’s such a great springtime color, and it reminds me of a lip color I wore when I was younger. This was definitely an appropriate shade to find in my VIP bag in Atlanta, too, when Georgia peaches were the theme. I don’t know if everyone got the same one or not, but I hope so. 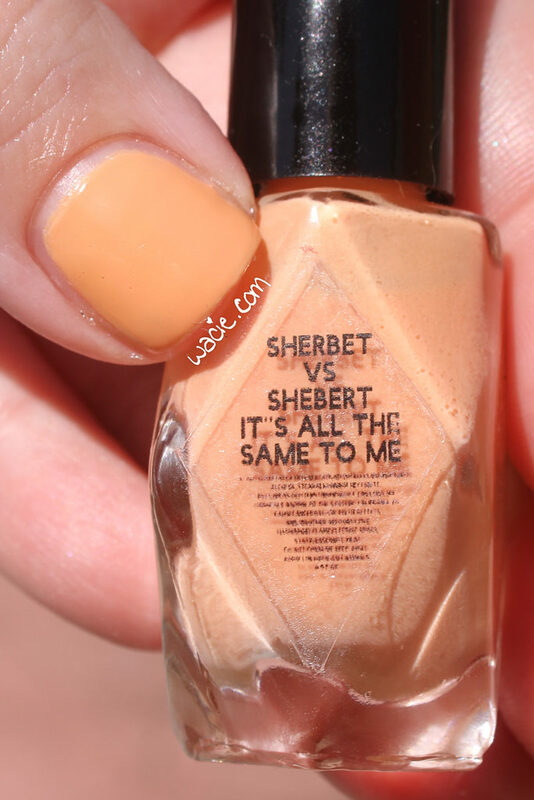 Sherbet vs. Shebert, It’s All the Same to Me is available in Alter Ego’s online shop. This polish came in my VIP bag, which I bought myself. This entry was posted in Swatch Saturday, Swatches and tagged Alter Ego, indie, orange, swatch. What a sweet shade of orange! Now for an orange I like this! This makes me want punch with orange sherbet!!! That is a really pretty orange shade! Unique! Love this springy shade, I think it would look great on all skin tones too! Now I want a creamsicle! Pretty summer/spring shade. Adorable name! Alter Ego has some clever names! 🙂 Lovely swatch! Such a great shade of orange! Nice and light but still vibrant! I loved her entire collection of the ice cream cremes. This was a favorite! The name cracks me up 🙂 People would go nuts arguing what’s the right way to pronounce it haha! Such a fun color! I think it’s perfect for Spring. What a yummy shade for spring! I really like this creme, looks like a dreamsicle.